The Cape, a Mexican boutique property in Cabo San Lucas, chose to ignore the tried and true of typical beach resorts. The Cape, a Mexican boutique property in Cabo San Lucas, chose to ignore the tried and true of typical beach resorts: no dramatic lighting, oversized lobby furniture or buffet dining. With an unparalleled view of the famous El Arco de Cabo, rows of Sonoran cactus on the surrounding grounds and idyllic waves for surfers, local and natural is the key to this hotel’s killer style. 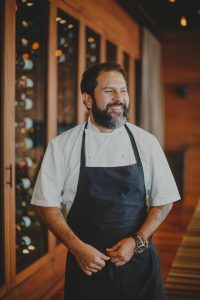 The first Thompson property to open in Mexico, The Cape wanted its dining option to match the hotel’s contemporary Mexican design, tapping Mexico City Chef Enrique Olvera to open Manta. Well-known for award-winning Pujol, Olvera took his inspiration from the Baja peninsula, with influences from far-flung Pacific destinations such as Japan and Peru. Manta translates as blanket in Spanish, and Olvera has focused on a menu offering the comfort of traditional Mexican dishes with a modern take of bringing disparate ingredients together. 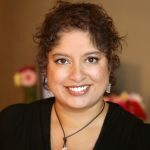 This spills over into the cocktail menu as well: the 1940 is a scrumptious gin cocktail made with fresh lime juice, all spice syrup, cardamom and pato de sangria bitters. Located past the open-air lobby and sunken bar of The Cape’s main level, Manta by Enrique Olvera is a sleek space of earth tones, with caramel-colored leather banquettes and oversized dark wood tables with uber-comfortable wood and leather club chairs. Diners are encouraged to linger over dinner, and for those who prefer sublime sunsets with crashing waves as a soundtrack, ask for a table on the terrace. 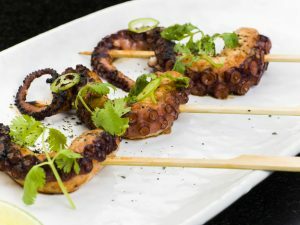 The small plates menu is made for sharing; with options such as crispy tempura lobster tacos, sumptuous suckling pig steamed bun with cilantro and scallions and a personal favorite: grilled octopus antichuco with chorizo mayo. Feeling a bit squeamish about something that looks exactly like it did in the sea? Close your eyes and let the slightly smoky flavor, followed by brief sharpness thanks to the spicy sauce, titillate your palate. You’re welcome. Every table features the organic fried chicken accompanied by a pungent dip made with Peruvian aji amarillo chile and for good reason: It’s perfectly juicy and crunchy chicken paired with a flavorful sauce that may encourage stealing from fellow diners when they’re not looking. Every online comment seems to mention the black miso fish tacos, a sizzling combo of catch-of-the-day-fish straight from the Sea of Cortez that’s sautéed and wrapped in a corn tortilla with creamy coleslaw—a worthy add to a “make your own” tasting menu. Other menu stand-outs that celebrate fresh flavors include the sweet watermelon and tomato salad with hibiscus and raspberry chamoy, the dressing reducing the acidity of the fruit, while the cured nopales salad with nori, mirin and togarishi is spicy and sweet thanks to the layers of Japanese flavors. For a sweet finish, the tres leches cake with black cherry ice cream and vanilla cream is worth every single calorie. And a definite shout out to Manta from those of us who adore tabletop design for the endless array of custom-made ceramic dishes which create an artful backdrop for the food. It’s lovely to see the exquisite details in each menu item shown to its advantage with each glass, plate or bowl. Post-dinner, sample from the extensive au courant mezcal and tequila list for a nightcap to toast the blending of pan Pacific flavors on the Baja peninsula.